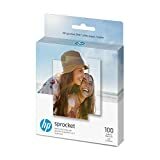 HP Sticky-Backed Photo Paper, 100 sheets, 2x3-inch for use with the HP Sprocket Photo Printer or HP Sprocket 2-in-1. Instant. Sharable. Fun. Turn your favorite photos into sharable fun with HP Photo Paper. 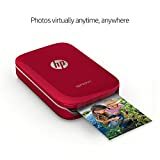 Easily load them into your HP Sprocket Photo Printer and start printing smudge-free, colorful prints instantly. 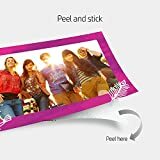 And they're designed with a peel-and-stick back, so your favorite moments can be more than just another social post. Adhesive small stickers. ZINK(R) Technology and trademarks from ZINK(R). Used under license. 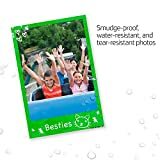 2X3-inch fun size to Print and share. 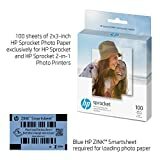 Interested in the HP Sprocket Photo Paper, exclusively for Sprocket or Sprocket 2-in-1 Printer, (2x3-inch), sticky-backed 100 sheets (1DE40A)? 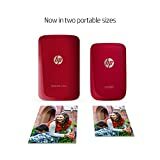 Is the price too high? You can easily price watch this product and we'll notify you when the price reaches your target.